Our Puyallup Storage Units are located near Tacoma, just off of SR-512 on Canyon Rd E, and serving Washington’s Fort Lewis, Summit, Graham, Spanaway, South Hill and Frederickson communities. The Stor-House Self Storage offers a wide variety of storage units to choose from, including Temperature-Controlled Storage. Our Temperature-Controlled units are heated to reduce the temperature fluctuations on your stored property. These units are ideal for storing furniture, documents, or other valuable property. We offer exceptional security at our facility, which features recorded video surveillance for your protection and peace of mind. 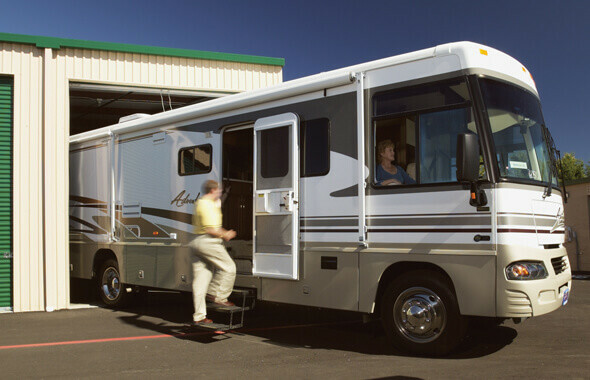 Our Car, RV and Boat storage units are clean and modern. We have both covered and fully enclosed units to choose from. And, an on-site, fully-stocked Moving Supply Store has all the boxes and packing supplies you’re looking for. Contact us today! Our friendly Storage Experts are ready to help you find the right self storage solutions to fit your Personal Storage, Business Storage, and Car, Boat & RV Storage needs. At The Stor-House, you’ll find storage a lot easier than you thought! Please submit the form below or call us at (253) 538-8200 to inquire about a reservation.